Children with ADD/ADHD often have trouble making friends, But parents can assist them toward lasting friendships. But parents can assist them toward lasting friendships. Impulsive behavior—dominating play, interrupting, jumping from one thing to the next—makes it hard for a child with attention problems to make and keep friends. Making friends requires many skills. First and foremost “being a friend” is most important. What does being a friend include? Listening, talking, sharing, having empathy, cooperative play, taking turns, following directions, reading and understanding nonverbal cues are important skills to have when being a friend. These skills do not come naturally to children with ADD and ADHD. They often miss many of the social cues that other children learn naturally. For the younger children, a lack of social skills may not be a serious problem. If a first grader says or does something unkind or impulsive, for example, other children may wonder why, but are unlikely to take offense. Younger children typically have a hands-on “social director” so to say, a parent or teacher who encourages and organizes play dates and stays on hand to make sure they go smoothly. But as children get older, social interactions become more complicated—and children with ADD and ADHD may fall behind. Parents may feel their children are now “old enough” to be on their own. But this is not true for children still struggling socially. What can parents do to assist their children with ADD and ADHD? Parental involvement is essential if ADD/ADHD kids are to make and keep friends. Medication may be necessary and should be explored with your doctor, but medication alone is not enough. 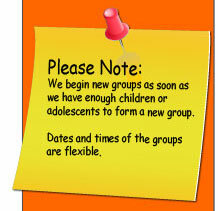 Participating in a “Social Skills Group” or “Friendship Group” may be a good option for many ADD/ADHD kids. This will help them better understand behaviors in themselves and others. (ADD/ADHD kids often have little sense of how they're perceived by their peers.) A group will give them as chance to slow down and work on their social skills with their peers. Team sports will offer “structure” for the ADD/ADHD child. Play tends to be chaotic for the child with ADD/ADHD and other children have a hard time wanting to be around them. These children need an environment that “holds” them in place so to say. Team sports can offer the structure and perimeters the child needs. But remember, the coach would have to be a person who understands and works well with all types of children. This may be the park district teacher or coach, and the school gym teacher too. Someone who is trained to work well with children. Parents should encourage their children to stand up to teasing without overreacting which might escalate the problem. Teasing and playful joking are an inevitable part of childhood, but ADD/ADHD kids are often impulsive and don't know how to respond. They also don’t always know when to quit doing the teasing and joking. By high school, (teenage and adolescent years) parents need to be backing off a bit and letting their children manage their own relationships. But it is important to stay in the picture and somewhat “hands on” with the ADD/ADHD child. Everyone and every child is different and age is not always the deciding factor. Sense what you child needs from you and continue to be there to support and to remind them of important social skills. Parents should remain involved in their teenagers’ life. Children and teenagers that have warm relationships with their parents where they talk often, share activities, and are affectionate with each other, tend to have good friendships too. Patience and perspective. Being a parent takes a lot of “hands on” years with your growing children. It is a life long investment. But the rewards we get in return are ten fold.